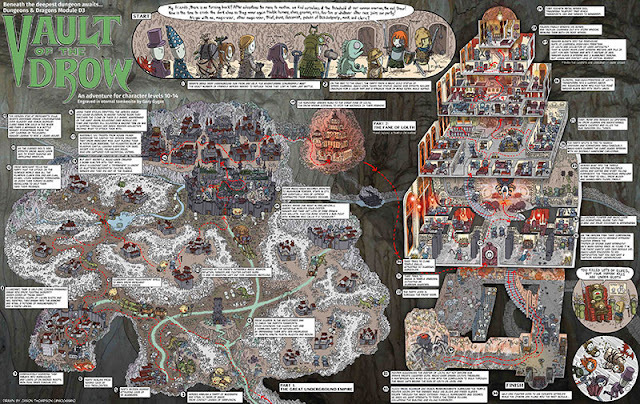 I love the cartoon adventure walk troughs written / drawn by Jason Thompson and released on the web by WotC. They are charming, deadly, funny and often accurate as all hell. I'd love to frame them all. I plan on buying at least two of them to spice up the old game room. I bought the entire set of them (other than this new one). They're worth the money, in my opinion. It's the kind of D&D tie-in merchandise I'd like to see more of.